Home » Cake » The Only Chocolate Cake Recipe You'll Ever Need! The Only Chocolate Cake Recipe You'll Ever Need! 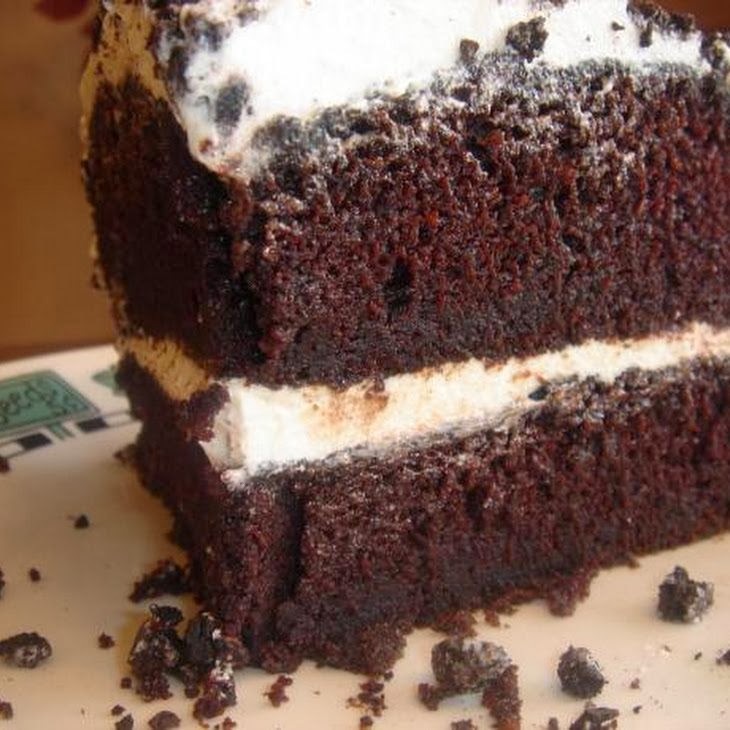 This chocolate cake is absolutely thee best we have ever had. It is so moist and rich, I never make anything else (unless I am short on time :) The frosting recipe included goes perfectly with this cake, but you can use any frosting you like. Try this once and you'll see why I call it "The Only Chocolate Cake Recipe You'll Ever Need"!! In a large mixing bowl, sift together dry ingredients. Add oil, coffee and milk and mix at medium speed for 2 minutes. Add eggs and vanilla and beat 2 more minutes. Expect batter to be thin. Pour into a 9" x 13" greased and floured pan or 2- 9" round pans. Bake 9 x 13 pan for about 45 minutes or 9" pans for about 30 minutes. Cool in pans for about 15 minutes and then cool completely on racks. While cake is cooling make the icing: Combine the milk and flour in a saucepan and cook over low heat until thick, whisking constantly. Cover and refrigerate until chilled. In a medium bowl, beat butter, shortening, sugar and vanilla until creamy. Add chilled milk and flour mixture and beat for 10 minutes. Frost cooled cake and enjoy! The frosting sounds intimidating, but it is worth it! By the way, for some reason, we prefer this cake chilled, right out of the refrigerator. The rich chocolate and cool frosting just seem to taste best this way.